For more than 25 years, that place is a place where our family have their time alone, far from their business, works, and stress. A place where they can laugh and share some of their interesting stories, talk about something really cheesy for the sake of joy in the moment. Almost every year in the past, we always have a visit. 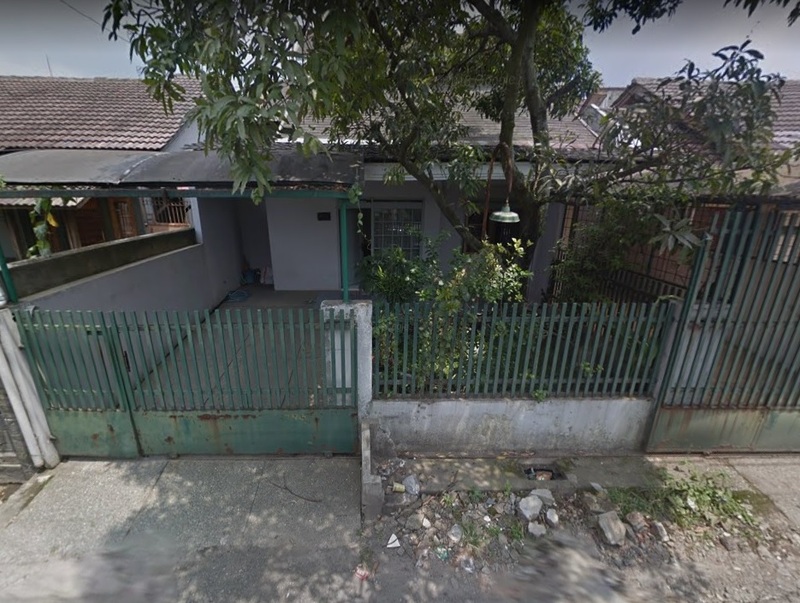 People from Jakarta, Cirebon, Manado, or even Ambon, came to this place to keep their bond strong, they always wanted to know the condition and health of our beloved grandma. Every day she used to woke us up in the morning if we sleep there. Told us to take a bath and get ready for breakfast. On a simply arranged dining table we take a sip of a black tea that she made, and a bowl of a bland chicken porridge, because too much spices can make you dumb, she always told us about that every time we asked about salt or pepper. My grandma is a really strict and discipline. From what we wear, how we talk, or how we walk, there will be something wrong, and we as a child get scolded, mostly because of our appearance. A man should have short hair, walk and sit upright, and a woman should behave like a woman. Her place located in Kopo, whereas I and my brother and sisters would call it ‘a place for old people’. We said so because every time we go to there we really feel different from where we lived in Bekasi. Her place feels so silent, clean, and neat, I’m not only talk about her house, but also the surrounding area. There were rarely kids playing in the street, park or even soccer field. Everything looked so abandoned, from the children’s playground, all I can see is a rusty swing and a see saw, neglected plants, and wild grass as high as the swing. But that’s all fine, because nobody young enough to play there anyway. Because of that every time our father said we will be visiting our grandma, as a child we would have a deep sigh. But for him, it is a vacation, to release his longing for his mother, not thinking where she lived. In her house, there were a 5 meters’ tall mango tree where when the mangoes appear, we would tell our dad to take some of those big and juicy mango for our snack in the noon. He would take them with a 3 meters’ long bamboo which are attached with a plastic bottle that are cut in half at the end of it. We would watch him stick out and twisted the mango apart from the tree. Inside the house we would see a simple front room, an old wooden bench and a round table placed like the letter L in the corner of the room, and a wooden cupboard where my grandma would store her precious shoes, slippers and heels in the other corner. And after the front room, we would see the main living room where everyone would sit, watch television and chit chat. The living room is pretty big; it is about ½ part of the house. There are a large and long L shaped sofa facing a 21’ inch television with a bamboo carpet that covers the floor surrounding the middle table. There are also a lot of photos and pictures that are displayed on the wall surrounding the living room, a large picture of our beloved grandpa, a lot of family pictures, from one wedding to another. This is the place where most of the events take place. From the lunar new year, this is the place where all of our family would gather, and we as a child just waiting for the red envelope or we should call it as angpao. Usually we would go to our grandmas’ 1 day earlier, so in the morning of the lunar new year, we all already sat in the living room and welcome our family member that came from different places. Tea pai also been done there when one of my cousin getting married. We also held a prayer when we wanted to or after we make a pilgrimage for our grandpa. In the corner of the room, there are a big pendulum clock that bells every 3 hours and my grandma’s rocking chair beside of it. Me and my cousins really loved to sit on my grandma’s rocking chair when we are there. On the left side there’s a dining table with a lot of Chinese food on it. Started from the halal one to the haram one. One the side of the dining table is a cabinet where a lot of antique plates and glasses, wedding merchandise, souvenirs are stored. Also, there’s a 2 storey refrigerator with a lot of photos and magnetic souvenirs placed on the refrigerator door. From the dining table, there are 2 kitchens on both side. On the left side, a kitchen where my grandma preparing the drinks, cooking rice, and washing the dishes. From there we could go to the attic through a twisted metal stair, and there is also a door to go to the front yard. On the right side, there are a back yard where she hanged the laundry. There are also a lot of green grass jelly leaves on the far back of the yard that grows on the walls. From there we can go to the second kitchen on the left side of the back yard. This kitchen is specialized to cooking Chinese food with a lot of pans, from the small one and the biggest one, hanged on the kitchen walls. My grandma likes to cook with traditional recipes, so the foods taste is always as the same as she made it when she was young. She usually cooks with a wooden grill and charcoal grill. She’s rarely used gas stove when she’s cooking. Across the kitchen, on the far right of the backyard, there is her bedroom that’s connected to the living room. Her room is a place where she spends a lot of time, by watching a preacher preaching for 1 hour nonstop, reading the bible, and praying. Yes, she is a very faithful person. Above the small cupboard besides her bed there was a statue of Mother Mary, a bible and a lot of anointing oil. On the left wall of her bed hangs a statue of Jesus cross above the bathroom door. Back in the living room, there are 2 guest bedroom that are connected to the living room, usually when we have a family gathering, we sleep in one of the room, and the other one is for the other member of the family. Inside the bedroom is just a big bed and an old mirrored cabinet, the other room have a similar furniture but it has a smaller bed. On the left side from the television, is a stair to the second floor. The second floor is actually just a balcony that are open to the living room in the first floor. From the stairs, if we go the left, there is a room where an old furniture and or an old painting are stored. And the right side from the stairs is my uncle’s bedroom. My grandma’s house maybe not a fancy place, she did not want to be fancy anyway. But every time I came there, it feels really different. I feel like living in a completely new world. The feeling that is really unusual is always there. Maybe because the weather that are different from my place, maybe the nuances that my grandma’s place is felt really old and lonely. Even though the place is just a place after all. What matters are who live in that place and what happened there.